What Era is that Gorgeous Antique Furniture from? 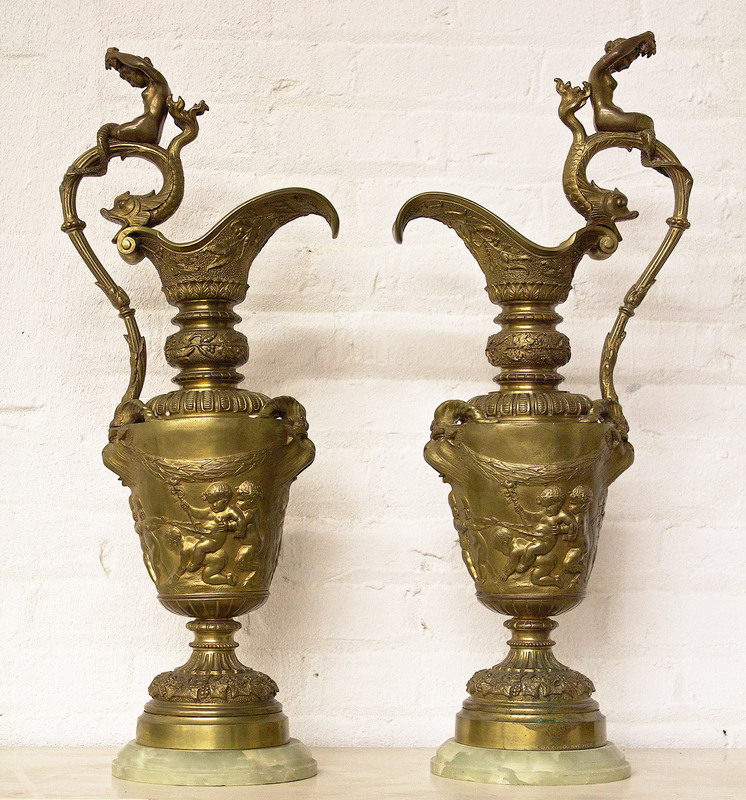 Do you know what types of antique furniture you like? Can you identify the era, the age, or the history of your favorite pieces? Are you curious to know the history and origin of them? If so, this guide can help you identify what you like and give you some background information and origin of these beautiful hand-made antique heirloom pieces. Schweitzer Linen has traveled the world over and curated some truly gorgeous and unique decorative objects and furniture from various eras which are available to purchase. The following will help you learn more about them and why they are so unique. Let’s start with THE VICTORIAN ERA. This was an age of revivals. Victorians loved embellishment, not only on their clothing, but for all objects in their homes. The Victorian Era lasted a good long time – from 1840-1900, during which several distinct furniture styles evolved. Each were influenced by the medieval days through to the Renaissance and French 18th Century Louis XVI. Victorian design in general, and specifically furnishings, is widely viewed as having indulged in a grand use of ornament. The Victorian era is known for its interpretation and eclectic revival of historic styles mixed with the introduction of Middle East and Asian influences in furniture, fittings, interior design and décor. 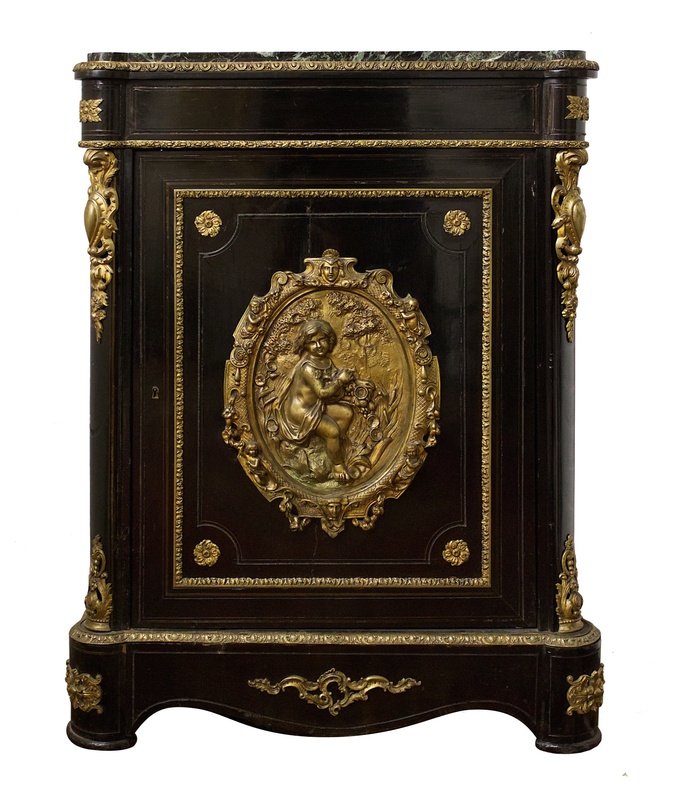 This beautiful Victorian side cabinet from Schweitzer Linen features dark wood popular at the time, golden decorative applied ormulo (molded bronze shaped pieces) and similarly decorated base. Here is another beautiful representation of Victorian furniture from Schweitzer Linen. 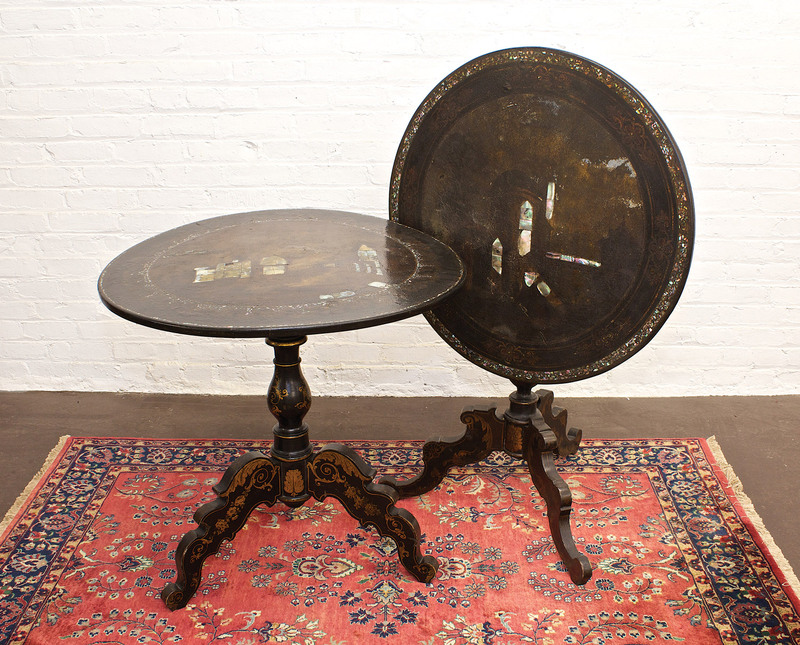 This is a set of Victorian Tilt Top Tables, featuring the inspired gold decorative florets and scrollwork, as well as decorative edging and mother of pearl top insets. Truly beautiful artisanship highlighting the Victorian trend in the application of decor. 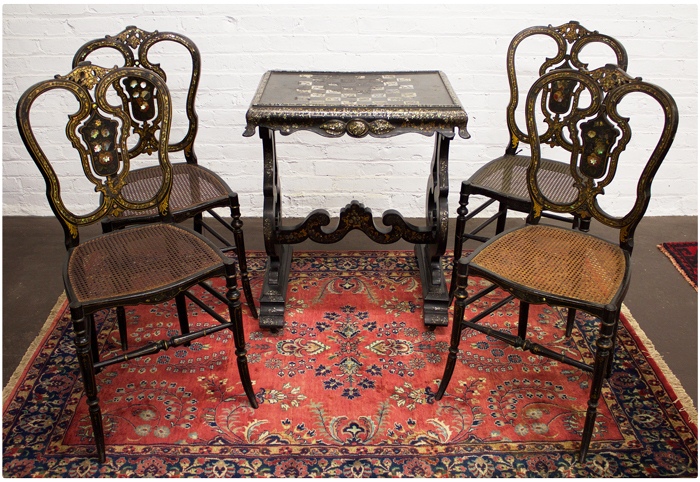 Schweitzer Linen’s game table and cane-seat chairs exemplify the Victorian furniture style with its dark wood, golden fine scrolling florets and swirling details. The carefully woven cane seats are a great textural and contrasting element. This style lasted from 1750 through 1800. Travels into Greece, Italy and the Near East which produced archaeological discoveries heralded in publications which spread quickly all over Europe. Thus, classical art became the inspiration for furniture design in this era. Neoclassic Revival style was much simpler, less heavily decorated, and thus lighter in outlook. Carved lines rather than in rectilinear shapes became curved again. Scrolling nor cartouche backs were no longer as trendy as they had been in the prior 20 years. Designers began to merge elements of Neoclassic, Renaissance Revival and even Rococo Revival in one piece. This is a beautiful piece available from Schweitzer Linen perfectly represents the Neoclassic Revival elements of the era. Note the classically inspired openwork of the under-table panels, bas relief fruit at the corners, and finely turned and carved legs and center support with its own carved decorative element. The Regency (also called Empire) era is basically a continuation of the neo-classical style but with a strong archaeological emphasis. The Egyptian campaign of Napoleon provided enormous inspiration for decorative ornaments. Winged lion pilasters and supports topped with palm leaves or sphinxes’ busts, carved in Mahogany furniture was enormously popular. Another classic stylistic quality is the solidity of these pieces. 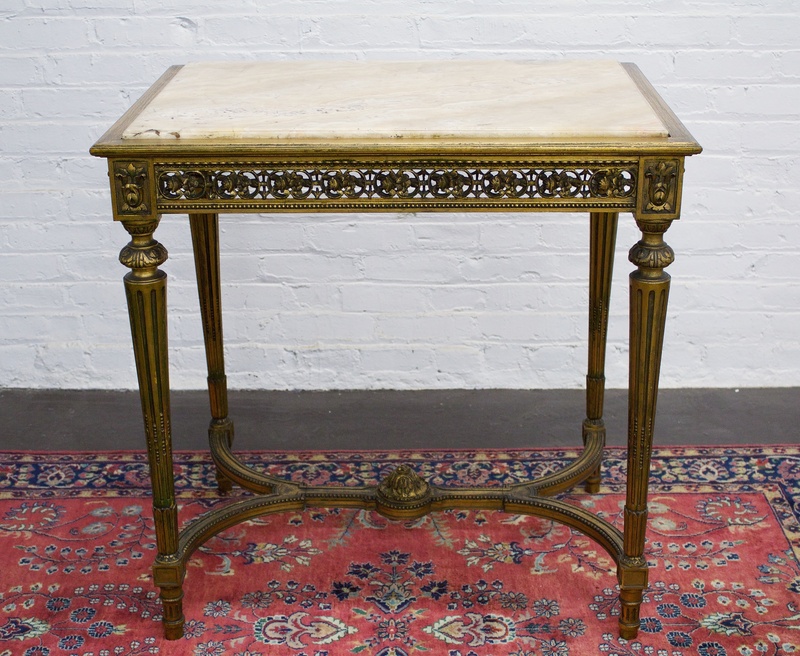 Schweitzer Linen offers a beautiful example of an Empire style desk carved from beautifully grained mahogany with classically inspired side columns, a solid base and decorative brass ornamentation. Early Flemish Baroque furniture dating from the 17th century, was an adaptation of the late Renaissance style. Oak cupboards were typical with four doors and chairs with seats and backs of velvet or leather held in place by nails. Most pieces are massive and solid pieces, of local woods with turnings. Dutch furniture of this period can be distinguished by its simpler design and a preference for molded panels over carved ornament. 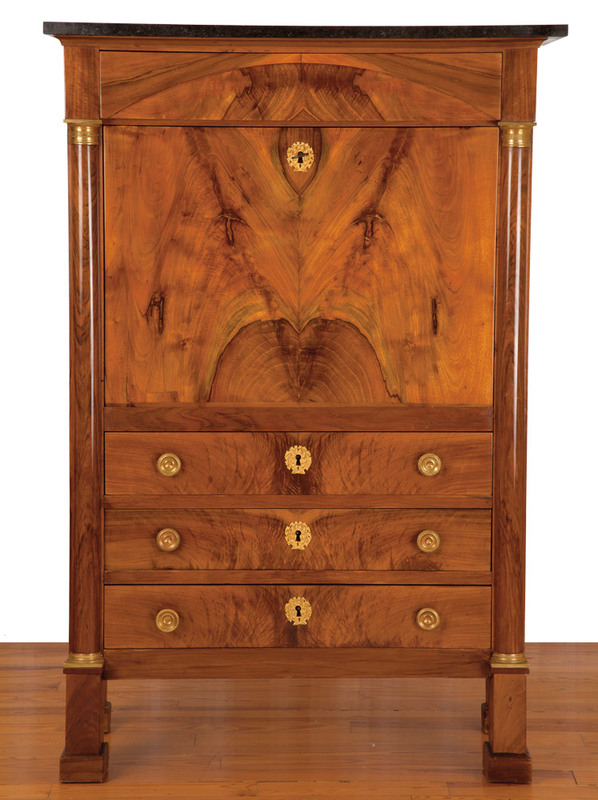 Later, marquetry and walnut-veneer surfaces became the most common decorative treatments. 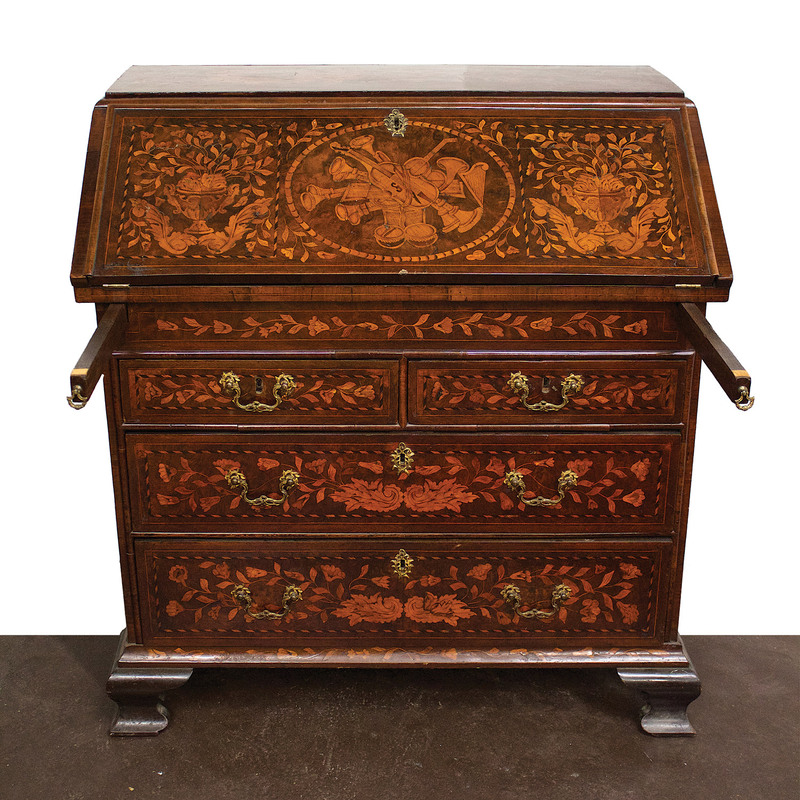 A beautiful example of marketry on a drop leaf desk can be seen (and purchased) from Schweitzer Linen, dating from 1740. Note the detailed marquetry of musical instruments, scrolling leaves and leaf-filled chalices. Named after the Directorate of France after the French Revolution, Directoire style trended from 1793 to 1804. It is characterized by Etruscan-appearing forms and motifs, including mythical and stylized animal forms. Most notable are mahogany dining tables of the style, which were decorative enough to be displayed without cloths. Here is a gorgeous example of Directoire style in a set of bronze pitchers available from Schweitzer Linen. The fantastical shapes of fish, mermaids, cherubs and fluid design of the handles and marble based footings are beautifully coordinated. This is truly a masterpiece.